Jay Artale likens the Indie Author Fringe to a sweet counter from her childhood, and then shares which sessions have already inspired her to take action. If you entered any of our speaker giveaways you can find out if you were one of the lucky winners. It’s inspiring to attend our Indie Author Fringe events. As soon as the last session has aired, I’m primed and ready to start implementing some of the new skills I’ve learnt over the past 24 hours. I’m working my way through all the sessions, but I haven’t listened to all of them yet, but I’ve listened to enough of them to make my head spin, and feel fired up to take action. 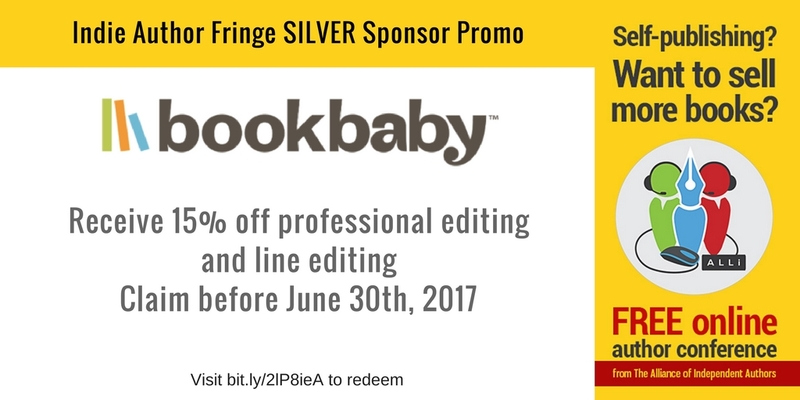 Our Fringe event covered a broad range of topics designed to help you sell more books, but what book marketing and promotion techniques should you implement? The great thing about being an indie author is that you are the one who gets to choose how you launch and market your book. Techniques vary by genre, and what works for one author may not work for you. Book marketing is like a pick and mix counter because it’s easy to get overwhelmed by all of the choices available, and you can get carried away by buying what you don’t need – and then you end up feeling slightly sick with buyers remorse! When I was a kid I soon discovered the flavors I liked best, and each Saturday I went back for more of the same. As an indie author it’s your job to find out what book marketing and promotion activities work for you, and then keep going back for more of the same, but always be open to trying a new flavor of the month to see if it works for you too. Which Sessions inspired me to action? 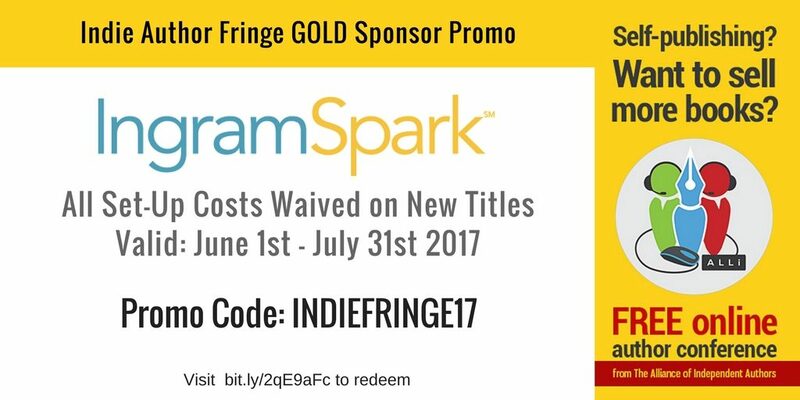 I’m using the IngramSpark promotional offer (zero set up costs on new titles) to set up my ebooks in print, and their Fringe session GLOBAL PRICING: HOW TO COST YOUR BOOK TO SELL WORLDWIDE helped explain, in simple terms, about how to price my book and set my discount percentage. Chris Wells showed us HOW TO CREATE A STUNNING MEDIA KIT FOR YOU AND YOUR BOOK. I’ve been meaning to set up a media kit for ages, but it was always one more thing on a long list of activities. But his easy to follow instructions were the inspiration I needed, and I’ve already set up my own Media Kit. This session inspired Orna to take action too! Are you next? 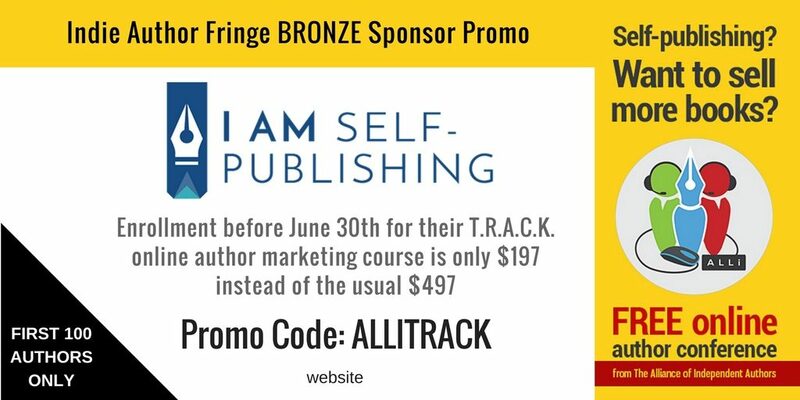 If you missed the opportunity of getting a free copy of his Media Kit Templates during his session, make sure you’re signed up to our Indie Author Fringe mailing list and I’ll send the links to downloads you may have missed. Michael La Ronn‘s session will appeal to the poet in all of us. His session, HOW TO SELF-PUBLISH AND SELL POETRY IN THE DIGITAL ERA highlighted the earning potential as well the current trends in poetry. So if you have an inner poet waiting to emerge, watch is session to get inspired. It certainly worked for me. I’ve written three new poems for my Dementia Poetry Collection since the weekend, and have reached out to some of my fellow poets about getting their collections out on ebook so that we can collaborate on an Instafreebie promotion together. The winners of Micheal’s Giveaway are Jo Lopez, Leila Benhamida, and Lisa Pearman. They will each win Michael’s Indie Poet Power Pack set of ebooks. Did you win one of the Giveaways? In Orna Ross‘s podcast session, HOW TO SELL YOUR BOOKS WITHOUT SELLING YOUR SOUL, she gave us tips about how to reach your readers and sell more books, while sustaining yourself at the creative level. Her podcast approach the topic of how to balance your creative and commercial endeavors. Did you enter to receive a copy of Orna’s hot-off-the e-press “How Authors Create Money and Meaning: A Workbook”? Make sure you’re signed up to our Indie Author Fringe mailing list and I’ll send the links to downloads you may have missed. Paul Teague was on hand again to dish out practical advice about the INSTAFREEBIE EXPLOSION: HOW TO ADD THOUSANDS OF TARGETED READERS TO YOUR EMAIL LIST. If you’re afraid of venturing down the Instafreebie path because it seems too overwhelming, Paul’s practical approach will put you at ease and have you signing up for a free 30 day Instafreebie premium trial before you know it. The winner of Paul’s Giveaway is Kazma (from Ankara, Turkey) who won Free access to Paul’s Self-Publishing Academy online training course. In Carla King‘s AUTHOR TOOLS YOU CAN USE TO REACH YOUR READERS, she showcased the best tools you can use to reach more readers – no matter what your genre. Did you enter to receive a copy of Carla’s “Consumer’s guide to Self-publishing tools and services”? 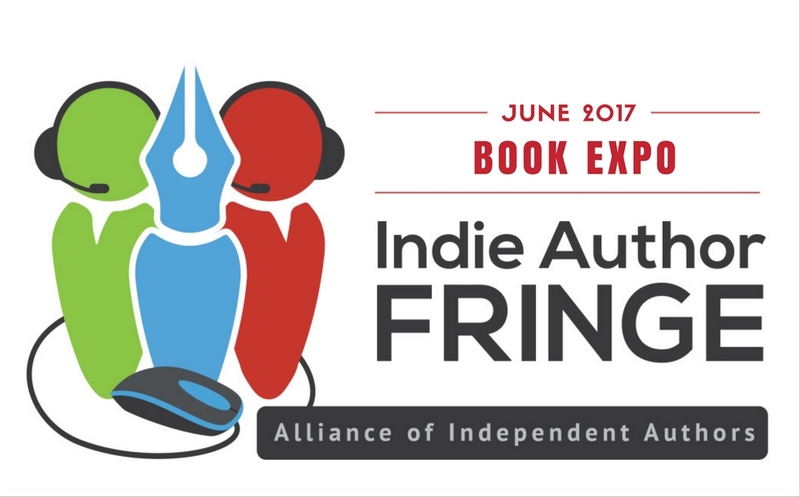 Make sure you’re signed up to our Indie Author Fringe mailing list and I’ll send the links to downloads you may have missed. Paula Wynne showed us how to build your reading list to sell books and get onto the Amazon paid bestseller charts. She helped us through the book marketing maze in her 10 BOOK MARKETING STEPS TO A BESTSELLING BOOK session. The winners of Paula’s Giveaway is Tracy Tennant, who receives one of each of Book Hub’s most popular book marketing services. Did you enter to receive a copy of Paula’s “Bookselling for Authors”? 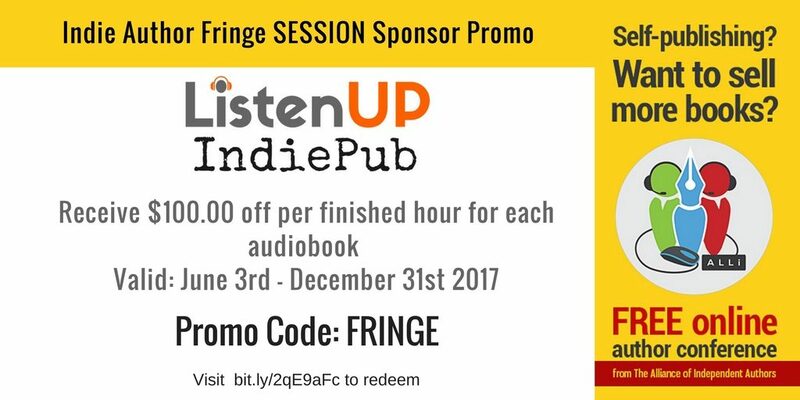 Make sure you’re signed up to our Indie Author Fringe mailing list and I’ll send the links to downloads you may have missed. In Ali Dewji‘s session STOP WASTING TIME AND MONEY ON BOOK MARKETING THAT DOESN’T WORK, he showed us how to avoid wasting your time and money on activities that won’t result in book sales. A good reminder to all of us to make sure that the activities we’re investing in have a good return on investment. The winners of Ali’s Giveaway is Cindy Nielsen, who receives a 1:1 coaching session with Ali. Ferol Vernon and Ricci Wolman teamed up to present SECRETS OF SUCCESSFUL AUTHORS: TACTICS USED BY AUTHORS EARNING OVER $5K PER MONTH. They’ve worked with thousands of authors throughout Written Word Media and share the best practices that successful authors are implementing and how you can model the activity. The winners of Ferol and Ricci’s Giveaway is Robin Storey, who receives a NewInBooks book promotion package valued at $499 to kickstart book sales. Our very own David Penny shared THE FUNDAMENTALS OF FACEBOOK AND AMAZON ADS. David has had success with both advertising platforms, and shared his learnings with us so that you can decide if Facebook or Amazon Ads is right for you. The winners of David’s Audio book giveaway are, Nick Klett, Cindy Nielsen, Sara Thomson, Jane Ann McLachlan, Brandon King, and Wolf O’Rourc. They get their choice of either The Red Hill or Breaker of Bones on audio. Barb Drozdowich helped us optimize our Goodreads presence, and shared some tricks to navigating this large site in her HOW TO OPTIMIZE YOUR GOODREADS MEMBERSHIP: TIPS FOR BEST PRACTICE. Don’t struggle with Goodreads, use Barb’s session to master it’s powerful features. The winners of Barb’s giveaway are PJ Harrison, Mate Poljak, Nick Klett, and Brandon King and they each win an ebook copy of “An Author’s Guide to Goodreads: How to Network with millions of readers” ebook. Alexa Bigwarfe is an author coach and in her ACCOUNTABILITY COACHING FOR INDIE AUTHORS session she showed us how to set up your very own accountability system that will keep your publishing and marketing plans on track. The winners of Alexa’s giveaway is Julie Bestry, and she wins Two months in the Write.Publish.Sell Accountability Membership. German publisher Ralph Möller devised the Book2Look widget, which offers samples from your book side-by-side with social links. 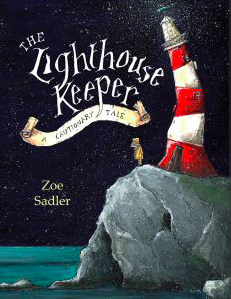 He chatted with children’s author Karen Inglis and Author Connections founder Beth Kallman in our BOOK2LOOK: WHAT IS IT? AND HOW DOES IT WORK FOR SELF-PUBLISHERS? session. I hosted a series of 3 interviews in my HOW TO MARKET AND PROMOTE YOUR MEMOIR session. This session was aimed at beginning memoir authors who are trying us build their audience following and reach more readers. I interview Jack Scott, Karen McCann, and Joe Cawley who all brought their unique angle to the topic, and share what techniques worked for them. The winners of my giveaway are Julie Cordiner, Pamela Loperena, Rachael Barcellano, Catherine Kane, Rachael Barcellano, and Mate Poljak, who all won a copy of my “Freewriting for Travel Writers: How to use a creative freewriting technique to improve your travel writing”. The winners of Jack’s giveaway is Sara Thomson, who wins a copy of “Turkey Street, Jack and Liam move to Turkey”. The winners of Karen’s giveaway are James Anderson and Debbie Johnson, who wins their choice of “Dancing in the Fountain” or “Adventures of a Railway Nomad: How our Journey’s Guide us Home”. 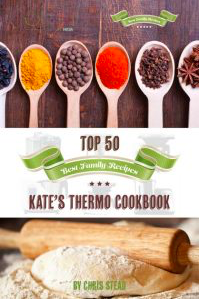 The winners of Joe’s giveaway is Sara Thomson, who wins a copy of “More Ketchup that Salsa”. David Markowitz‘s session LOOK WHO’S TALKING: CREATING AND MARKETING AN INDEPENDENT AUDIOBOOK uses the growth in audiobook sales and podcasts to motivate authors to branch out into the audiobook market. David showed us how to turn our books into audio, and the different ways for reaching reachers. Our Blog editor in chief Debbie Young lifted up the covers to give us a behind-the-scenes peek into the activity and effort needed to set up your own indie literary event in her HOW TO HOST AN INCLUSIVE LITERARY FESTIVAL session. We need more grass-roots events like these, so hopefully she’s inspired you to set up your own local event. The winners of Debbie’s giveaway is Vicki Cooke, who wins a signed copy of her Debbie’s new cosy mystery “Best Murder in Show”. Derek Murphy shared techniques and tools that he’s been using to build his own mailing list and increase his sales in his HOW TO BUILD YOUR AUTHOR EMAIL LIST WITH GIVEAWAYS AND CONTENT MARKETING session, and shares the information you need in order to replicate his success. 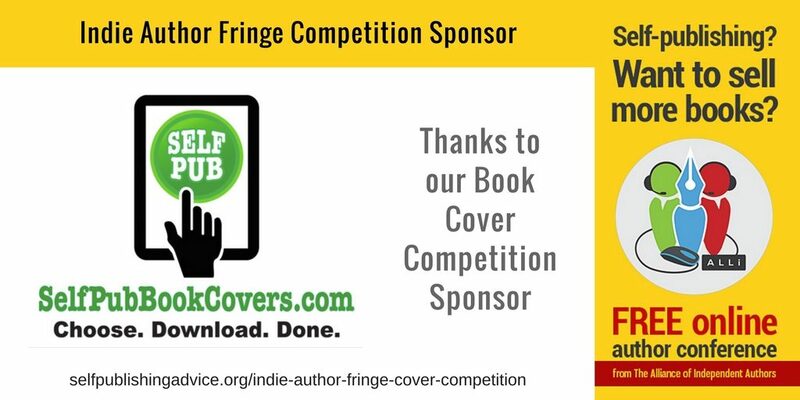 Shoshonna Gabriel, co-founder of Self Pub Book Covers, hosted the INDIE AUTHORS: USE YOUR COVER TO SELL YOUR BOOK session, which offered tips and tools for making sure your cover delivers your book to its readers. The winners of Shoshanna’s giveaway is Mary Gagliardo who wins a FREE high-quality, professionally-designed, one-of-a-kind premade book cover of the winner’s choosing, in any genre and style. Shoshonna also sponsored our Book Cover Competition, and both winners also one a free high-quality cover from SelfPubBookCovers.com. Would it be possible to see the covers in the short list of each category in the recent competition?